What is a social media share link? You know that feeling when you see or read something fantastic and you just have to share it with every human you know? (I get that feeling a lot when I read BuzzFeed and Upworthy.) 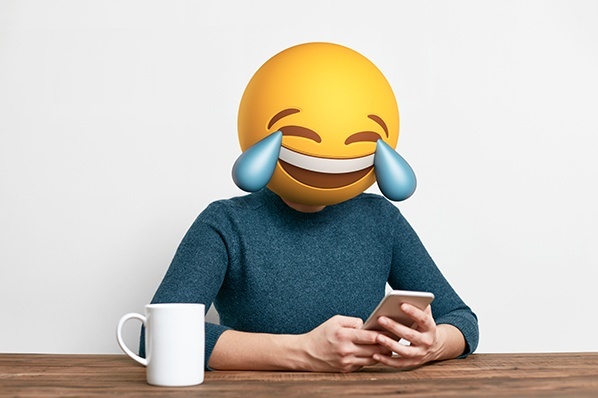 When I get that urge to share stuff, the first thing I do is glance quickly around the website for social sharing links so I can pass on whatever I'm reading with just the click of a button. But when the social sharing buttons aren't there, well ... sometimes I just don't feel like opening up a new tab, logging in to a social networking site, creating a new post, and manually pasting the URL I want to share into it. 2) Choose the social network you want people to share your content on. 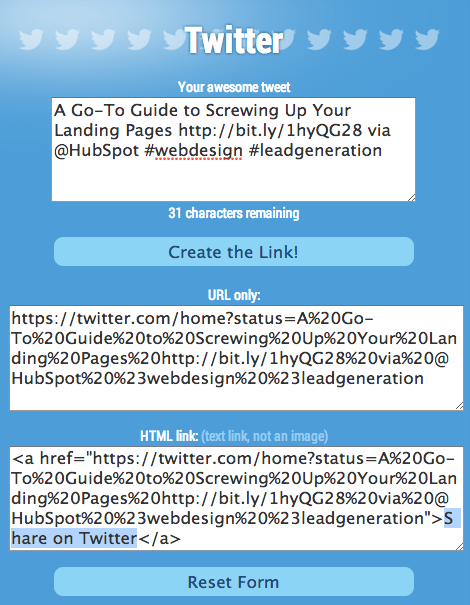 The Share Link Generator lets you post to Facebook, Twitter, Google+, LinkedIn, and Pinterest. 3) Fill in the blanks. For Facebook, all you need is a URL. Facebook disabled custom share fields in February 2014, so you can't pre-populate viewers' Facebook shares with your own words or hashtags. They'll have to write that in themselves. For Google+, all you need is a URL. 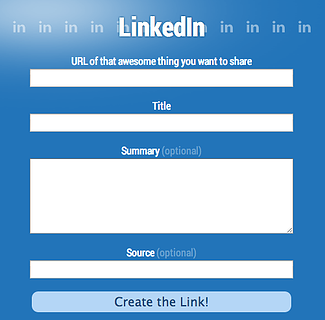 For LinkedIn, you need a URL, a Title, and a Summary. The Summary is optional on the website, but don't leave it out: It gives viewers context that could compel them to click on the link. 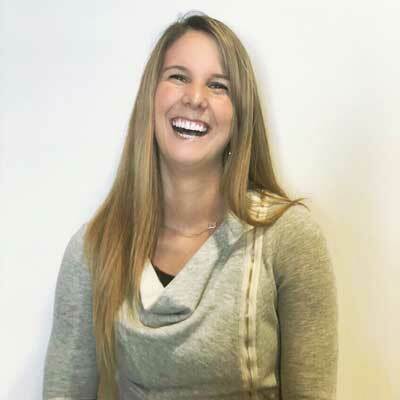 Include a shortened link in the Summary copy to optimize your LinkedIn post. For Pinterest, you need the URL of the image you want to pin (which you can get by right-clicking on the image in your browser and choosing "Copy Image URL"), the source of the image (e.g. 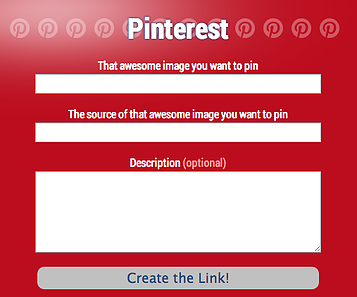 the website where you want the image to link to from Pinterest), and a description to give the image context. What's the difference between "URL only" and "HTML link"? 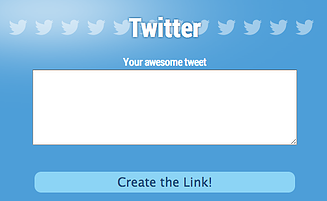 You can put the HTML link directly into the HTML editor of your website. The result will be the words "Share on Twitter" hyperlinked with the share link. You can change that text by deleting "Share on Twitter," which I've highlighted in the image above, and replacing it with the text you want. But sometimes, you may want social sharing links in the form of icons, not words, to catch the reader's eye. To make images like icons clickable, you only need to worry about that URL only link. 4) Download a social button icon. If you already have social media icons or images, you can skip this step. If not, check out our library of 135 free icons for marketers. You can download and use them for free -- without any licensing or attribution -- wherever you please on your website. And if you want to change the color of any of these icons, they come with a free guide for how to do that using PowerPoint. 5) Make the icons clickable using your share link. Your goal is to make your social icon clickable so it sends viewers to the share link. 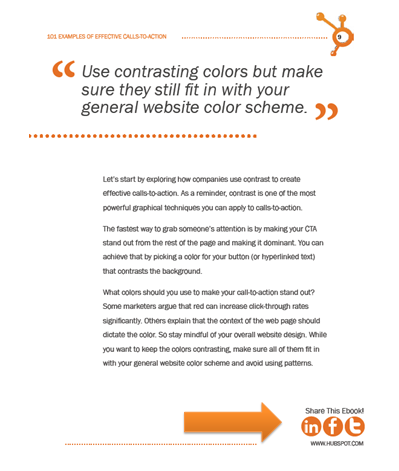 The exact steps here vary depending on your CMS. First, upload the icon image into your CMS' file manager and insert it into your website. 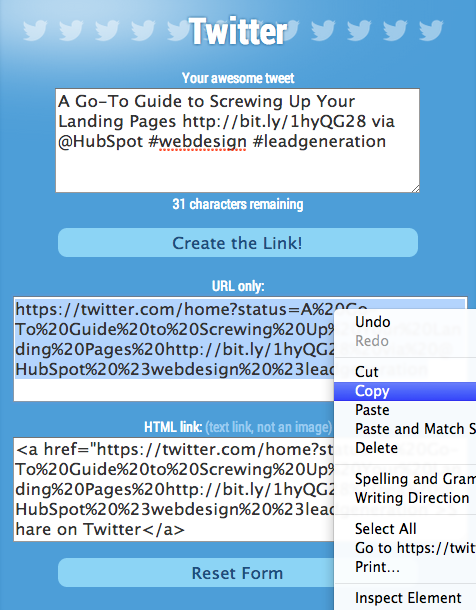 Then, go back to the Share Link Generator and copy the content of the "URL only" box. That's all, folks. Wasn't that quick? Now you're ready to add social share links anywhere on your website. Have fun with it!